There is no doubt a jury will pick up on his cockiness and smirks and be turned off. Even though the jury has been warned by the judge to be dispassionate, how can one be dispassionate if someone is sitting in front of them smirking and looking as this like it is a big joke. Perhaps one of the reasons Drew has been so cocky is that his attorney may have convinced him that there would be a mistrial But that turned out to not be the case. In fact Judge Edward Burmila decided against declaring a mistrial in Drew Peterson’s murder case yesterday . The did criticize prosecutors for entering inadmissible evidence and even seriously entertained the possibility to canceling the trial. But in the end the judge conclude that Peterson can still can get indeed a fair trial. What makes Peterson menacing may not be the testimony but his own demeanor and how he handles himself in the courtroom. There is no doubt that Drew was not one to listen to the advice go his attorneys or their consultants when it came to Jury Preparation for the simple fact that he never intended for the trial to take place due to a mistrial. Now it may be too late to prepare him in terms of how to handle himself in the courtroom. 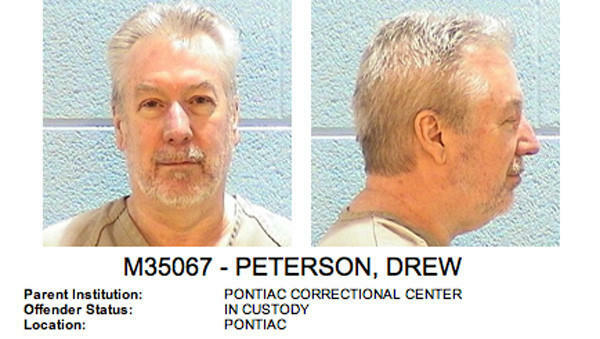 So what you see will be Drew Peterson going through all of his stages of tried. He will be in denial and continue with hi cockiness. You may begin to see his anger surface, especially if he sees things aren’t looking too good for him as the trial progresses. Reminds me of another Peterson named Scott!! I hope he gets the same verdict as him too! He will meet many others like him behind bars . The jails and prisons are filled with social paths & psycho paths . They display this behavior to make it look like they are such a likeable guy and they could never be guilty. Maybe a psychopath will take his dirty smelly shoes cram them into his lieing mouth and duct tape them into place for awhile. He just got 38 years to stare at painted block & steel decor in his prison cell.